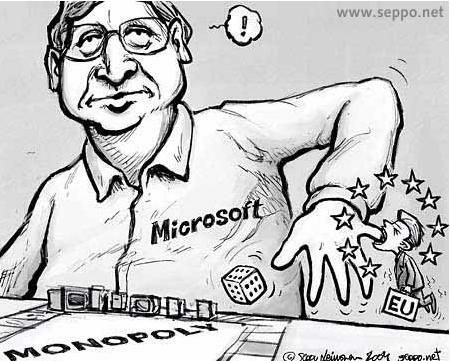 Microsoft has filed an official complaint against Google with the European watchdogs. Microsoft accuses Google of not allowing competitors, like Bing, to get data from YouTube to rank them in their specific search engines. It also says that Google deliberately is making YouTube videos un-playable on Window Mobile phones and believes Google is discriminating would-be competitors. Brad Smith, Senior Vice President & General Counsel at Microsoft, explains in a long blogpost why Microsoft is filing. He claims that Google is using a pattern to remain the dominant force in Europe. 4. Google is restricting customers access to their own data: Google contractually prohibits advertisers from using their data in an interoperable way. 5. Google contractually blocks leading Web sites in Europe from distributing competing search boxes. 6. Google discriminates against would-be competitors by making it more costly for them to attain prominent placement for their advertisements. One weird thing, in point five Microsoft claims Google has contracts with several European websites in which Google makes sure that no other search engine is placed on the sites than a Google search engine. Now that might seem strange, but Microsoft most probably is talking about on site search engines here, which is a totally different discussion and has nothing to do with search engine market share, so it is a bit strange that Microsoft is claiming this. Now we want Bing to be stronger in Europe, but is this the right way to go? They were the ‘victims’ of the European watchdogs before, are they trying to get ‘even’ with Google for that? It could backfire immensly.